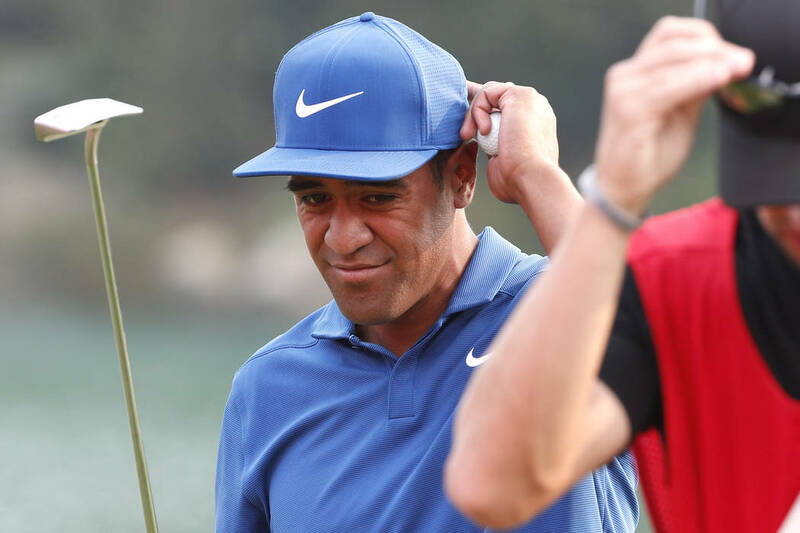 The 2014 Shriners Hospitals for Children Open was an important steppingstone in the career of Tony Finau, who finished in the top 10 for the first time with a tie for seventh. 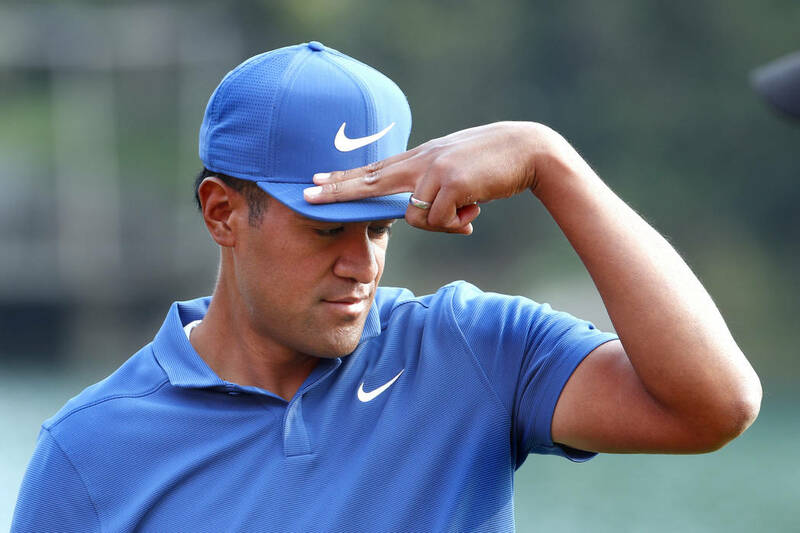 For PGA Tour player Tony Finau, the 2014 Shriners Hospitals for Children Open was an important steppingstone in his ascent to becoming one of golf’s elite players. In his second PGA Tour event as an exempt player, he finished in the top 10 for the first time with a tie for seventh. 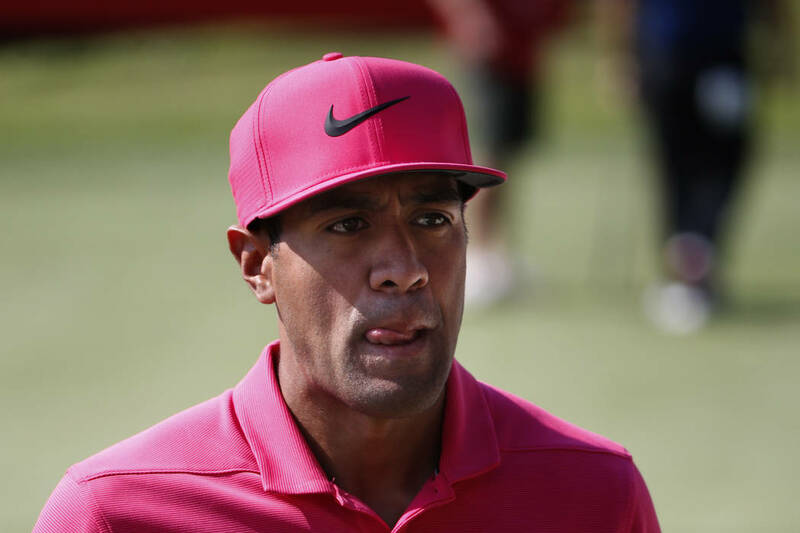 Finau, who was sixth in the 2018 FedEx Cup playoffs, is scheduled to play in his fifth Shriners Open when the tournament begins Thursday at TPC Summerlin. Joining Finau are fellow U.S. Ryder Cup teammates Bryson DeChambeau, Rickie Fowler, Webb Simpson and Jordan Spieth, along with captain Jim Furyk. Other notables are defending champion Patrick Cantlay, Jason Dufner, Gary Woodland and Southern Nevadans Shintaro Ban, Alex Cejka, Wyndham Clark, Ryan Moore, Kevin Na, Scott Piercy and Aaron Wise. 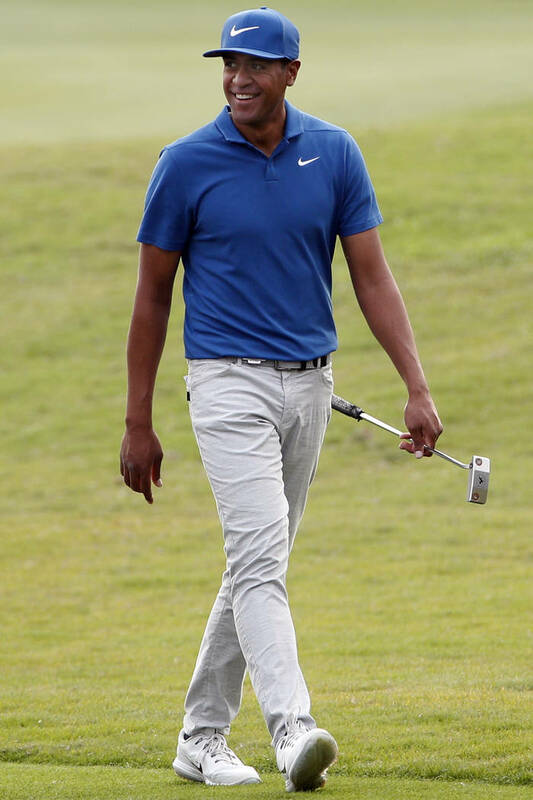 It was clear that week that given Finau’s hype, his prodigious length and legendary feats as a junior golfer in Utah who turned pro at 17, an exciting and diverse new player was ready to make his mark. Finau has been exempt on the tour since and made more than $12 million over the past four seasons, with one victory. He has made the Shriners cut each year, including a tie for 16th in 2017. Finau, 29, lives in Lehi, Utah, a five-hour drive from Las Vegas. 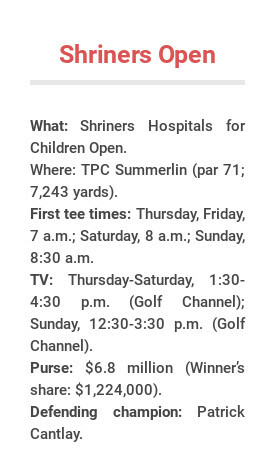 But he will be traveling from the other side of the world for the Shriners Open. 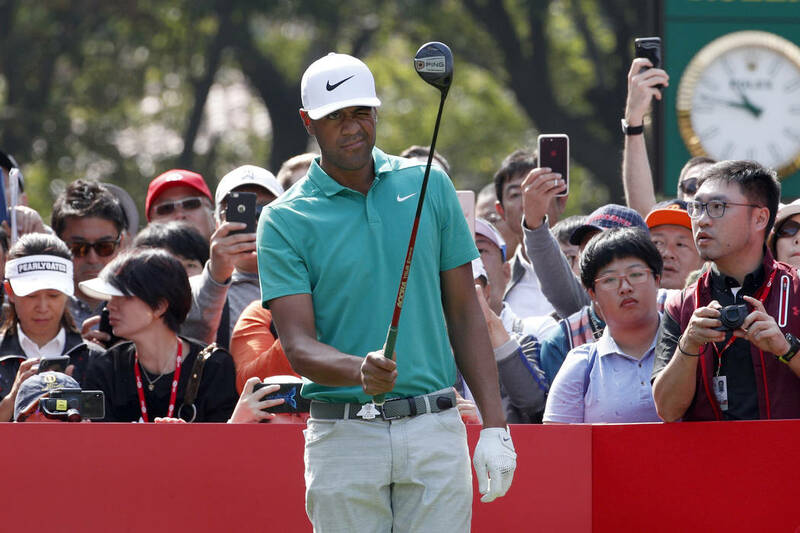 Finau’s hot play is continuing this weekend at the WGC-HSBC Champions at Sheshan Golf Club in China, where he has a two-stroke lead entering the final round. Utah native Boyd Summerhayes, Finau’s swing coach and a former PGA Tour player, has been witness to Finau’s talent and demeanor. While many are drawn to his length, Summerhayes said Finau is among the tour’s most well-rounded and consistent players. 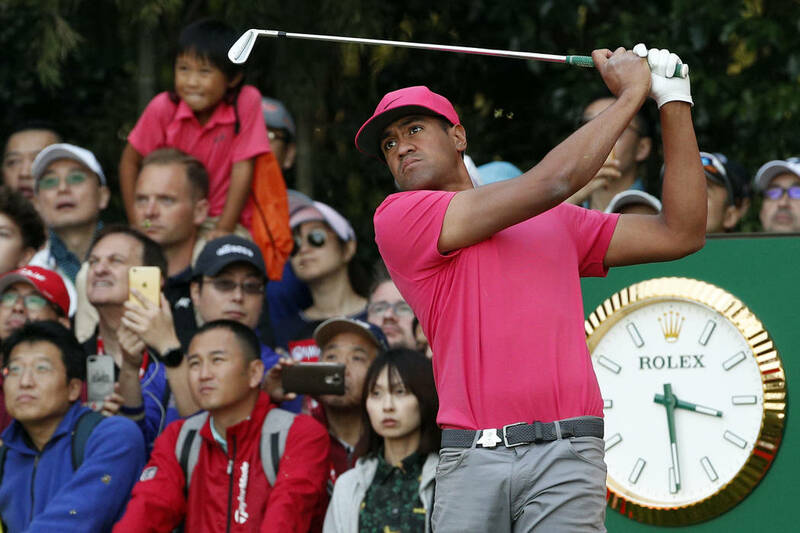 Finau finally played in the Masters in April and finished tied for 10th, guaranteeing a spot at Augusta in 2019. While the finish was solid, his recovery from a dislocated left ankle he suffered while celebrating a hole-in-one during the par 3 contest was monumental. He shot a 4-under 68 in the first round, less than 24 hours later. 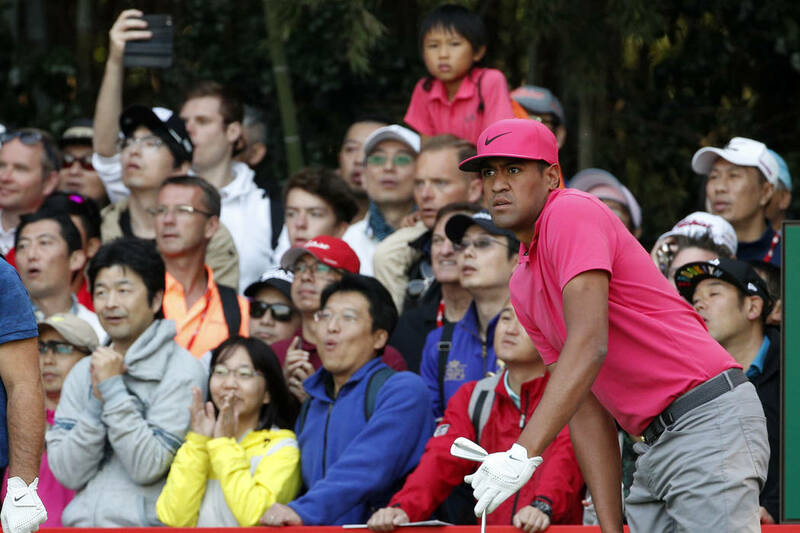 After the third round Saturday at the WGC-HSBC Champions, Finau reflected on his blossoming career. Thursday (7:03 a.m. sunrise, 5:44 p.m. sunset): Partly cloudy; high of 73 degrees, low 54; winds north northeast at 10-20 mph. Friday (7:04 a.m., 5:43 p.m.): Partly cloudy; high of 70 degrees, low 53; north winds shifting east at 10-15 mph. Saturday (7:05 a.m., 5:42 p.m.): Partly cloudy; high of 68 degrees, low 52; winds south southeast at 10-20 mph. Sunday (6:06 a.m., 5:41 p.m.): High of 65 degrees; low 51; winds east northeast at 10-20 mph.